On June 30, 2013, the day that the 2013 Tour de France begins, National Geographic Channel will be featuring the premiere of “CYCLING’S GREATEST FRAUD: The Rise and Fall of Lance Armstrong” at 9 PM. The special will detail one of the most epic falls from grace in the history of sports, beginning with Armstrong’s rise to fame as a professional cyclist in the 1990s and ending with his tragic admission of complicity in doping schemes during his career—a confession that rocked the world and cemented the death of his career in sports. Using archival footage and cinematic recreations that have become the signature of National Geographic Channel, the show will bring to life Armstrong’s saga for viewers. Interviews with members of Armstrong’s inner circle, including fellow riders like Tyler Hamilton and Armstrong’s personal assistant Emma O’Reilly, will shock audiences with first-hand accounts of the world-renowned cyclist’s enforcement of what the US Anti-Doping Agency called in a 2012 report "the most sophisticated, professionalized and successful doping program that sport has ever seen". Lance Armstrong is famous for having won the Tour de France seven consecutive times from 1999 to 2005, before he was stripped of his titles by the USADA in 2012. He was diagnosed with testicular cancer in 1996 for which he had to undergo surgery and chemotherapy. In 1997, the same year he was declared cancer-free, he founded the Lance Armstrong Foundation, later renamed the Livestrong Foundation, which provides support for people diagnosed with cancer. His successes in the sport of cycling along with his courage during his struggle with cancer and his humanitarian efforts earned him the admiration of sports fans and millions around the world, who looked up to him as a hero and role model. However, he had been haunted by allegations of doping all throughout his cycling career, with former teammates and other members of his inner circle supporting those claims. 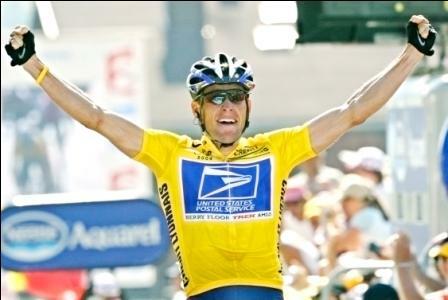 In 2012, the USADA stripped Armstrong of all his titles won since August 1998 and banned him for life from competition in all sports, a decision that the World Anti-Doping Agency accepted in October 2012 and Armstrong chose not to contest. In January 2013, he publicly admitted in an interview with television host Oprah Winfrey that he had committed doping offenses during his cycling career.